The district administration has lodged fresh complaints against 17 political leaders at Udayagiri police station a day after 14 Village Revenue Officers were suspended in connection with the case. 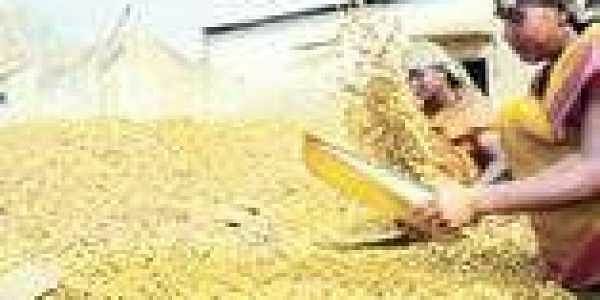 NELLORE: In a new twist to the turmeric scam reported in Nellore, the district administration has lodged fresh complaints against 17 political leaders at Udayagiri police station on Monday, a day after 14 Village Revenue Officers (VROs) were suspended in connection with the case. With complaints of several lapses pouring in, the district administration had deployed 10 teams under the leadership of Joint Collector-2 V Venkata Subba Reddy to conduct a detailed probe into the issue. He reportedly recommended suspension of VROs, who had active role in the irregularity based on the revelations of farmers where the crop was sold at Markfed procurement centre. They also lodged complaints against the role of politicos and benamis with the officials who have not cultivated the turmeric crop in many villages. Initially, Collector had suspended 14 VROs. The Joint Collector-2 found 13 people were responsible in the scam. Subsequently, senior officials of the Markfed also added names of four people, all known personalities in Udayagiri constituency. One among them is Ch Rajasekhar (Raja), private Secretary of local MLA Bollineni Venkata Rama Rao of the Telugu Desam and another is S Ravindra Babu, Mandal Praja Parishad President of Duttaluru from TDP. It is learnt that there were nine members from Telugu Desam Party and eight from YSR Congress in the list. “Four leaders were found have played key role in the scam,” officials said. A senior official from the Markfed said that they had submitted a list of four persons with political background to the police. However, he refused to name them as directed by the collector. Officials had prepared the list of leaders against whom the farmers made complaints at the time of enquiry by the Joint Collector-2. The entire list of leaders was submitted to the Udayagiri police on Saturday midnight and a case was registered in the wee hours of Sunday. The District Collector, who was an IPS officer earlier, had suggested sections for dishonesty, misappropriation of public money, cheating and etc to be booked. “We are not supposed to say anything on the investigation process since the district administration is directly dealing with it. We don’t know who are in the case,” said an official from the Markfed. Police are tight-lipped about the case as the roles of TDP and YSR Congress leaders are being suspected.